With this 11 Days Rajasthan Tour, we at Travelsite assure you the best memories where you will explore and uncover every single possible destination that is known and famous. Visit the colorful land known for its culture and past and relive the era once again. You will be welcomed by our representative on your arrival at Jaipur Airport/Railway station and you may proceed for a hotel check in. Later in the evening take a tour to Laxminarayan Temple and spend the later evening in the Chokhi Dhani Village and Experience the Perfect Rajasthani Night. Overnight stay at hotel. Today we will utilize the day in exploring Jaipur, the Pink City and we would visit the Amber Fort and Palace, City Palace and Museum, Jantar Mantar Observatory and the magnificent Hawa Mahal which is also known to be the Palace of winds. Later in the evening return to hotel for dinner and overnight stay. Start your day early in the morning and drive to Bikaner, En route visit the Pretigious camel breeding farm and later continue the drive to Bikaner. Check in at hotel on arrival and enjoy the rest of the day at leisure. Dinner and overnight at hotel. As the day starts, we would proceed for a small sightseeing tour of the Bikaner City and visit the Junagarh Fort, Lalgarh Palace, Sadu Museum and return to hotel. Pack your bags and leave for Jaisalmer. Check in at hotel on arrival and enjoy the day at leisure. Dinner and overnight at hotel. Early morning start your Jaisalmer sightseeing tour with Jaisalmer Fort, Sonar Kila, Patwaon ki Haveli, Nathmal ki Haveli, Salim Singh ki Haveli and Gadisar Lake. 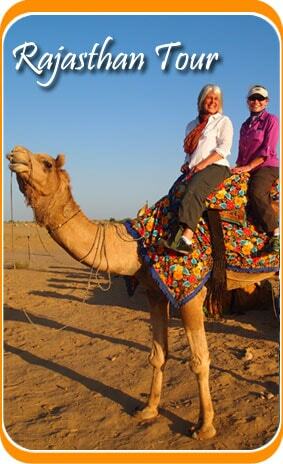 Enjoy the camel ride in the evening at Sand Dunes and arrest the view of sunset in The Great Indian Thar Desert. Have your breakfast and drive to Jodhpur, check in at hotel on arrival and later take a small tour of Jodhpur City. 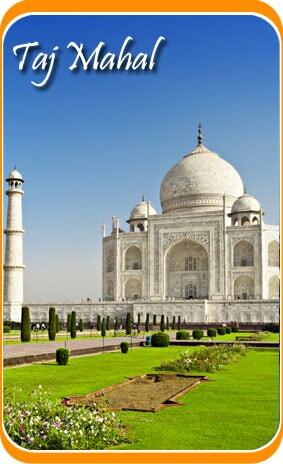 Visit the Mehrangarh Fort and Jaswant Thada. Return to hotel for dinner and overnight stay. The route we will catch today is to Mount Abu and check in at hotel on arrival. In the evening enjoy the sunset from the sunset point of Mount Abu. Enjoy the day at leisure and return to hotel for dinner and overnight stay. Post breakfast start your tour of Mount Abu visiting Adhar Devi Temple, Achalgarh, Guru Sikhar Dilwara Jain Temple And Honeymoon Point. Prajapita Brahmakumari and later enjoy Art Gallery & Nakki Lake here if want can enjoy Boat ride in Lake overnight stay. As you are done with your breakfast proceed for Udaipur and check in at hotel on arrival. Later in the evening enjoy your boat ride at lake Pichola and witness the mesmerizing sunset. Later return to hotel for dinner and overnight stay. Today, you are going to explore the city of lakes and take a sightseeing tour of Udaipur that includes the FatehSagar Lake, Maharana Pratap Memorial, Nehru Garden, Saheleyion ki Bari, Sukhadia Cicle, Bhartiya Lokkala Museum, City Palace and Jagdish Temple. Later in the evening return to hotel for dinner and overnight stay. Have your breakfast and proceed to board your flight/train for onward journey and your 11 Days Rajasthan Tour ends here.